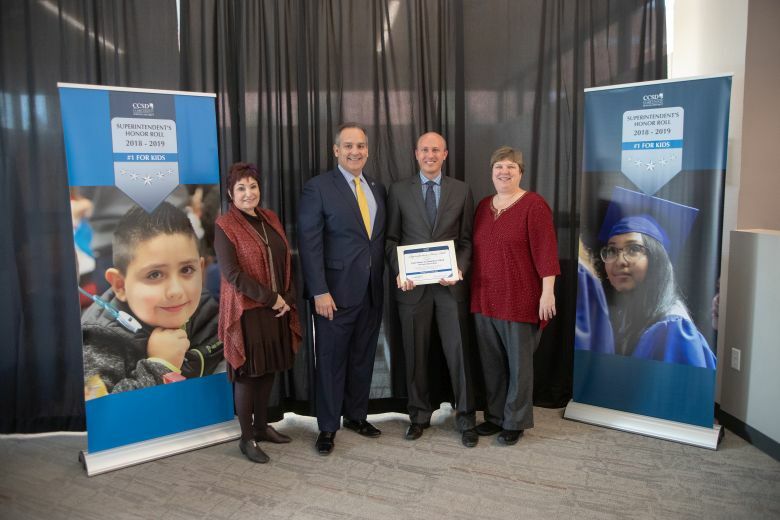 On Nov. 28, Superintendent Dr. Jesus F. Jara recognized the principals of 62 Clark County schools (including two CSS-sponsored charter schools) as part of the 2018-2019 Superintendent’s Honor Roll. Thanks to the hard work and dedication of our teachers, students, and families, Mr. Blume was able to attend the celebration event on our behalf. He is pictured above receiving our school’s certificate from CCSD Board of School Trustees President, Deanna L. Wright; CCSD Superintendent of Schools, Dr. Jesus F. Jara; and The Public Education Foundation President & CEO, Judi Steele.